THINQ MAC SONO IS NOW OPEN! Click one of the devices below, and scroll down to see details and pricing. If your question is not listed, call us! Diagnostics on all devices are free! Call us at 203-807-8727 for a repair recommendation. All of our iOS diagnostics are free, ranging from hardware to software. We will find the fix and let you know how much it will cost to get it done. iPad 2 / 3 / 4 Screen Repair - Digitizer / Glass - Call in for our recently reduced pricing! Your iPad's digitizer and glass front needs to be replaced if it has been dropped and the screen has been shattered. This repair only takes 24 to 48 hours, and all of your data remains untouched. Please make sure to have a backup just in case! 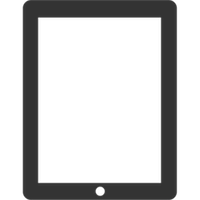 iPad 2 / 3 / 4 Digitizer / LCD Combo Replacement - Call in for our recently reduced pricing! 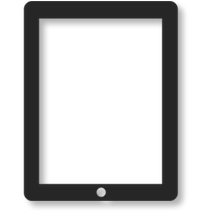 Both your iPad's LCD and digitizer need to be replaced if it has been dropped and the glass, as well as the screen behind the glass have been broken. This repair only takes 24 to 48 hours, and all of your data remains untouched. Please make sure to have a backup just in case! iPad Air Screen Repair - Digitizer / Glass - Call in for our recently reduced pricing! iPad Air 2 Screen Repair - Digitizer / Glass (with LCD) - Call in for our recently reduced pricing! "New" iPad Screen Repair - Digitizer / Glass - Call in for our recently reduced pricing! iPad Pro 9.7" Screen Repair - Digitizer / Glass (with LCD) - Call in for our recently reduced pricing! iPad Pro 12.9" Screen Repair - Digitizer / Glass (with LCD) - Call in for our recently reduced pricing! iPad mini 1 / 2 / 3 Screen Repair - Digitizer / Glass - Call in for our recently reduced pricing! Your iPad mini's digitizer and glass front needs to be replaced if it has been dropped and the screen has been shattered. Both the iPad mini and the iPad mini with Retina Display use the same front unit. This repair only takes 24 to 48 hours, and all of your data remains untouched. Please make sure to have a backup just in case! iPad mini 4 Screen Repair - Digitizer / Glass (with LCD) - Call in for our recently reduced pricing!